When the weather is chilly, there's nothing better than spending an afternoon or evening crafting something cozy and fun. From toasty wrist warmers to comforting neck wraps, there are lots of easy winter crafts that can keep you entertained when it's too cold or snowy to go outside. Winter can seem drab and dreary, especially as it gets closer to spring. Fortunately, this easy project lets you add a bit of light and sparkle to your home. This project is a little messy, but it only requires basic crafting skills. Expect to spend about 20 minutes on the candle holder, plus drying time. Protect your work surface with newspapers or a plastic garbage bag. 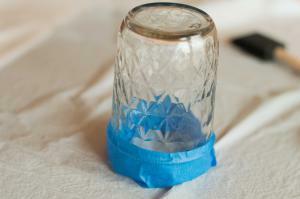 Apply painter's tape around the rim of the glass jar. 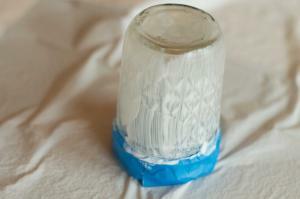 Dip the foam brush in the Mod Podge and apply a thin layer all over the outside of the jar, avoiding the bottom. While the Mod Podge is still wet, gently tap glitter onto the surface of the jar. Turn the jar as you go. Pat the glitter lightly to help it adhere. Let the jar dry overnight. Brush off excess glitter. 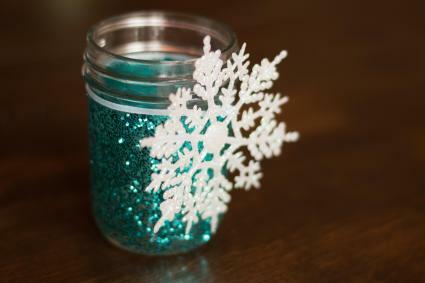 Tie a ribbon or twine around the mouth of the jar and add a snowflake decoration. Put a tea light inside to enjoy a sparkling glow. After a chilly hour spent clearing the sidewalk of snow, nothing comforts those shoveling muscles like a handmade neck wrap. 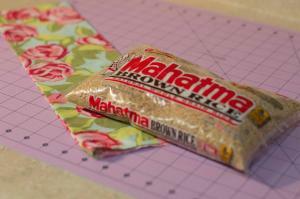 You can use your favorite fabric scraps for this simple project, and it makes a great gift. You don't need to be an experienced seamstress to make this. 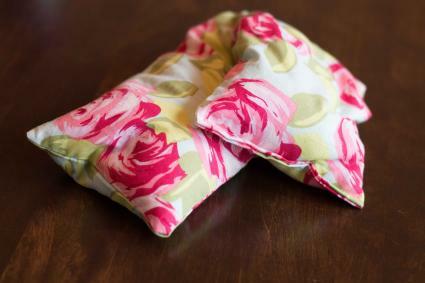 In fact, this is so easy, it's perfect for your first sewing-related craft project. Expect to spend about 30 minutes per neck wrap. 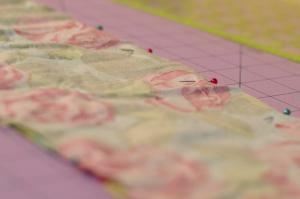 Start by cutting two rectangles of fabric, each six inches wide by 18 inches long. Stack the two rectangles with their right sides together. Use pins to hold them in place. 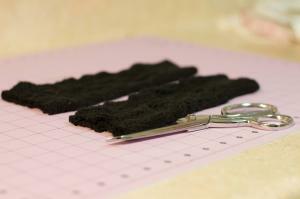 Use a sewing machine to sew both long sides and one short side, about 1/4 inch from the edge. Leave the remaining short side open. Turn the neck wrap right side out. Pour two pounds of uncooked rice into the opening. Tuck the raw edges in and pin the opening closed. Sew it closed about 1/4 inch from the edge. To use the neck wrap, place it in the microwave for about one minute. Add more time, 10 seconds at a time, until it's the desired temperature. If you'd rather have it cold, place it in a plastic bag and put it in the freezer for 10 minutes or longer. If you spend a lot of time typing or crafting over the winter, your hands can get chilly. 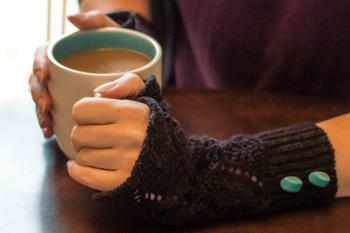 You can warm them up with these cozy vintage wrist warmers made from an old sweater. You can use almost any sweater for this project. If you use a wool sweater and wash it in hot water before you begin, you won't even have to hem the wrist warmers. This makes 100% wool the best choice if you want a really easy project that requires minimal sewing. 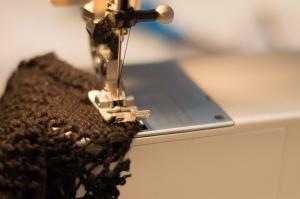 Loosely knit cotton or acrylic sweaters can lend a gorgeous lacy look, but they do require hemming. Expect to spend about an hour making these, less if you use wool. Make sure the sweater is clean and wrinkle-free. Cut off both sleeves about 10 inches from the cuff. Set the rest of the sweater aside for another project. Make sure the pieces are the same size and are even. If your sweater is not 100% wool, apply a small amount of Fray Check all along the raw edges of each wrist warmer. Allow the Fray Check to dry for 15 minutes. 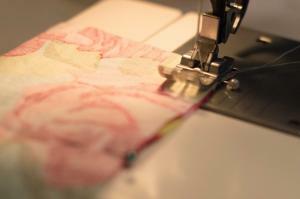 Roll the raw edge under and use your sewing machine to sew a zig-zag stitch all the way around the edge. If you have a wool sweater, skip this step. Lay the wrist warmers on your work surface and measure the rolled edge two inches from the seam. Place a pin here. Repeat with the other wrist warmer. 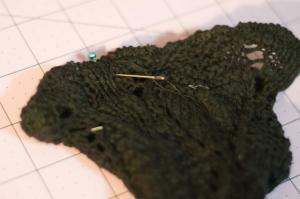 Thread your needle and take a tack in each wrist warmer where you put the pin. This provides a separate thumb hole. Sew two or three buttons on the cuff of each wrist warmer to complete the look. Choose antique or vintage buttons to make them really special. Handmade legwarmers - You can use this free pattern to crochet a pair of cute, chunky legwarmers. This design is perfect if you're just getting started with crochet, and it goes together in a few hours. Lip balm - Don't settle for chapped lips this winter. Instead, use this handy recipe to make your own lip balm at home. It's an easy project that takes only minutes to complete. No sew fleece blanket - You don't need to haul out the sewing machine to make a cozy blanket out of fleece. Expect to spend a couple of hours making a family-sized blanket or a baby blanket, neither of which require special crafting skills. Snowflake crafts - Make a delicate lace snowflake to attach to your coat, or create a custom pendant with an icy winter theme. These simple projects are fun and easy for anyone. Knitted wrap - If you have a bit of knitting experience but aren't looking for a challenging design, this basic and beautiful knitted wrap is an ideal choice. Winter is a great time to experiment with new crafts. Try lots of different easy projects to keep yourself cozy and entertained during the chilly evenings.